Heather's Heart: Turkey Scratch...Number HELP!!!! I know it is still common for my Firsties to still be reversing numbers and doing squirrelly things so I am not too worried YET! 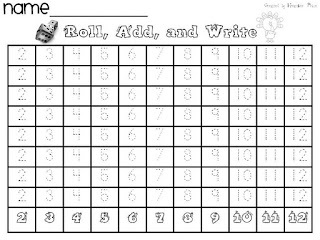 Here is a quick game for practicing writing numbers and adding too! And the BEST part is you do not need TAG...or to LAMINATE it...or use COLOR INK!!!! WAHOO! I go through that stuff like CRAZY!!!! I change the pictures on this game many, many times for different seasons and units and my kiddos love to race the numbers to the top. I hope your kiddos enjoy it too! Please leave me a heart note if you think this might ease some of YOUR turkey scratch pain! Here are two pictures of my cat Edison "perching"! Edison is sooo cute!! I love your freebie!! I know my students need practice writing numbers. This looks like a "fun" way to do that!! I love your cat! Mine are crazy too. Thanks for the freebie. I was just complaining about their number writing today!!! This is great for writing practice. I'm using it tomorrow! I have been in 3rd for the last 3 years and COMPLETELY forgot what 1st graders know and don't know. This is going to be a big help and they are going to love! Way cute and I feel ya on "WHAT IS THAT?!" on the papers. My favorite is when they can't read their own writing. "Friend, that's a problem!" Thanks for sharing this! Thanks for sharing! The kids will love this ! :) Love your kitty's name! My goodness! Some of my kiddo's really need help with writing numbers! Thanks for sharing. Thank you for sharing. My students do love the dice! My students played this yesterday and LOVED it. It was a lot more fun than simply "number writing practice!" THANKS for sharing! Thank you so much. I just became your newest follower because I needed some activities to not make two days be completely unproductive, but also to be amusing and I found your great ideas. Thank you!!! Thank you so much for sharing this number activity with my students!